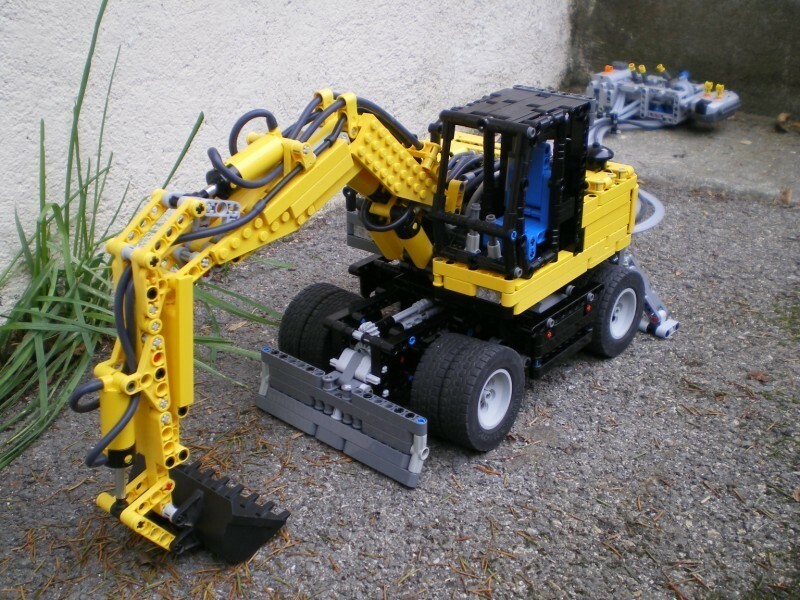 Have you enjoyed the Wheeled Excavator by Makorol, highlighted last week? So lets take another one! 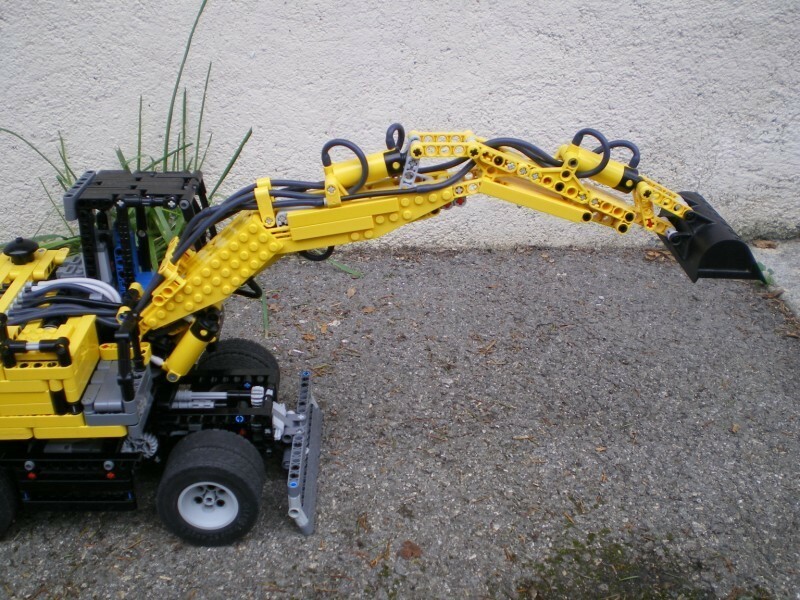 Niko71 who is moderator at SeTechnic forum, as a large series of building machines (and more...), made with TECHNIC bricks, which I'll highlight some here according to the mood. As mentioned in the beginning, this week I'll show his Wheeled Excavator already with some time. 4 pneumatic functions (two section boom, dipper and bucket). 4 electric functions (wheels drive, front steer, front blade and rear stabilizers, cab rotation). 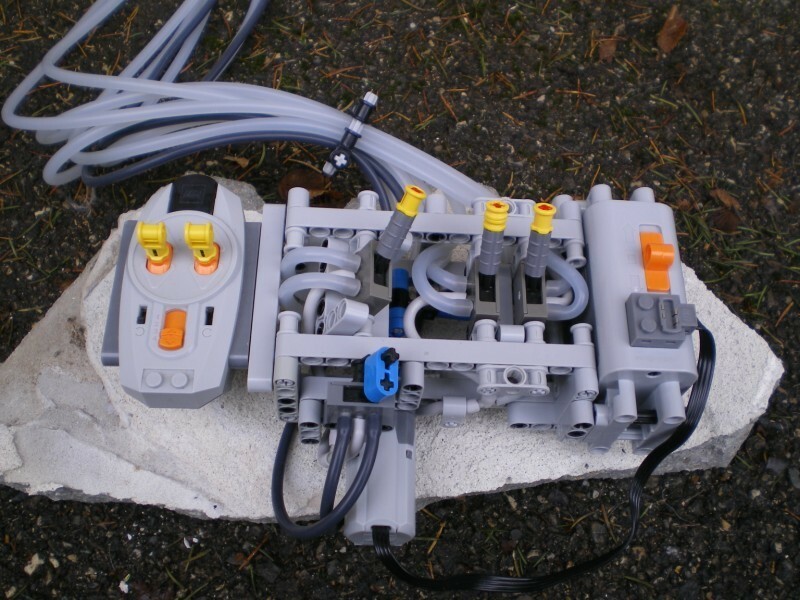 The electric/pneumatic combined remote control ("wired" and wireless), makes me remember that one from the amazing Jennifer Clark excavator, built in a modern and very compact style. You may find these and much more pictures of this Nico's model, at his BS folder. But most interesting and helpful, are the photographic step-by-step building instructions that Nico prepared for us, to easily reproduce his model. 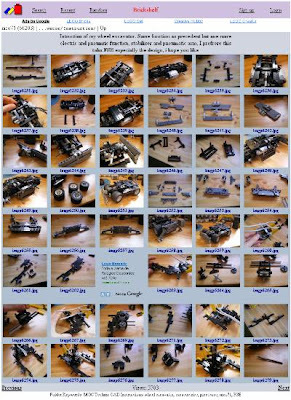 Something original and very well done, that he has made for several of his MOCs (Click over the picture below, to get in place). If you want to know more about Nico and his constructions, go and read an interview he gave for Klocki in June the last year. And another fully deserving its place in my Excavators Hall of Fame. I love the unique remote, and the excavator itself is very cool. I assume the pneumatic tubes are custom? Also, who plays the music? It's amazing! thanks, yes pneumatic. The music is played by "Lord Of Dance" and the music call "warriors"
Thanks, Nico! Do they have a website? I'm really interested!